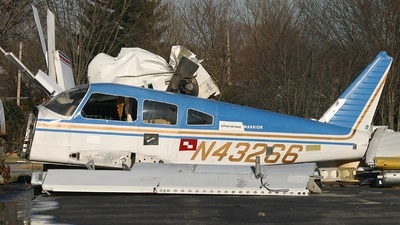 Note: This is what is left of this Cherokee Warrior after it crashed into the trees while doing touch and goes at nearby Hawkins County Airport in 2003...luckily the pilot walked away uninjured and the leftovers now call MOR home. Note: This bird used to fly for Kalitta Air Services but now sits on the ramp at MOR, apparently not going anywhere for a while. 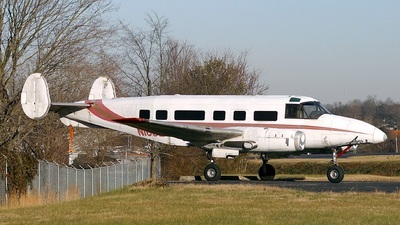 This interesting bird is Beech 18S upgreaded with a turboprop. First view on this one on JP.net.